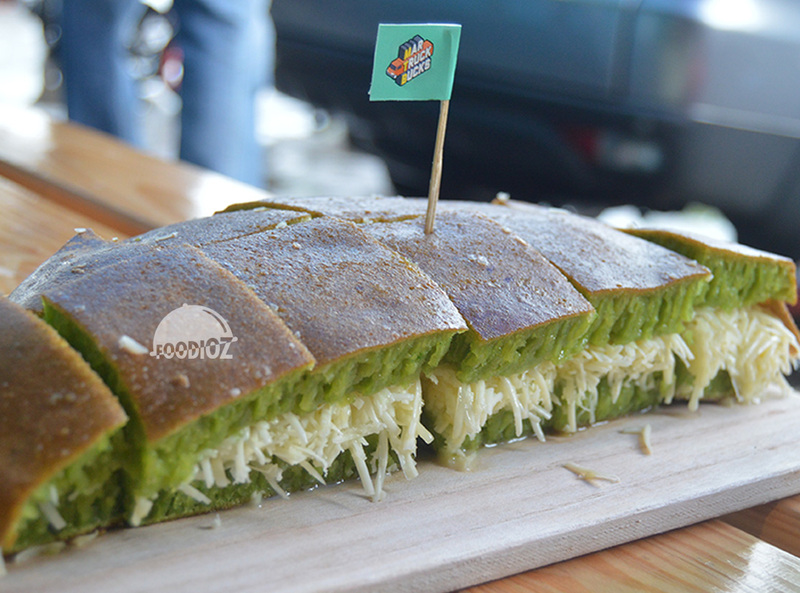 Talking about Martabak (Indonesian Stuff Pancake) i guess most of you should be familiar with it. It has become one of trend food happening in town. Nowadays, it has come out in many various choices. Not only about chocolate, cheese or peanut flavor but it also available with red velvet, taro, or even crab as the filling. Martruckbucks is one of Martabak store where they are offering various of modern martabak with unique fillings. 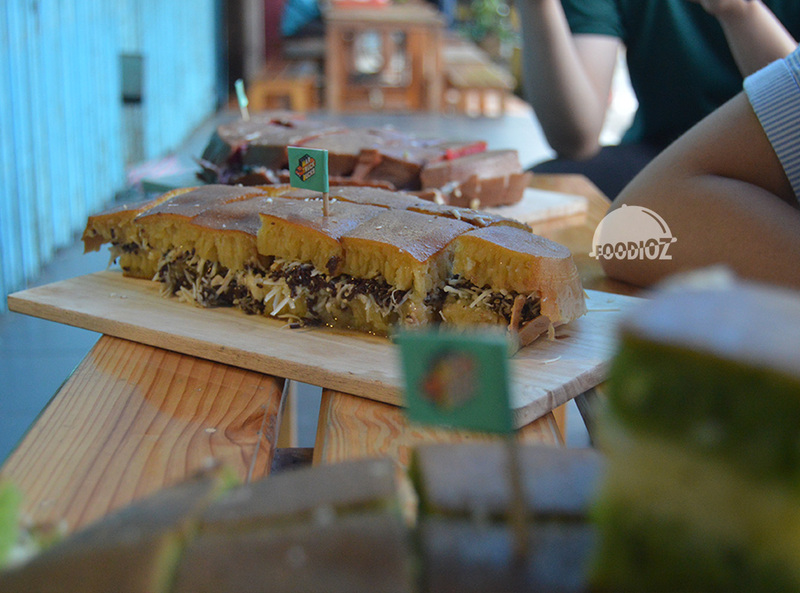 The place is considered not so big, but it does show up the typical Indonesian martabak modest outlet. With wooden chairs and tables and dominant bright blue color all around the place. Normally Martabak outlet used to have open kitchen where we could feel the hot air or smoke from the pan. But fortunately here, they has the clear glass which is separated the kitchen with the dining spot so we could enjoy our food without worry about smoke and even we may watch the process making martabak as well. 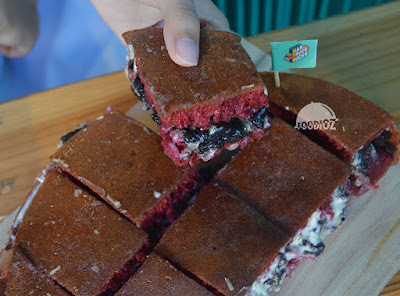 I think most of martabak has really great filling, such a balanced sweetness and delightful. Red Velvet is one of favorite here, with really lovely smell and beautiful color. I can tell the red velvet is strong enough. Among the sweet martabak, they also available with egg martabak too. Using dough filled with beaten egg, onion, spring onion and grounded beef with Rendang style. Rendang is one of classic recipe come from one of city in Indonesia Padang. 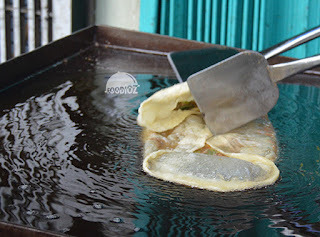 I found out this martabak has really tasty filling and strong seasoning also crunchy based. Also don't forget it topped by stunning mozzarella cheese and poured by squeeze of herbs does give another taste sensation enjoy the martabak. Tips here, it would be much better if we take this food while it still warm, it has crunchy texture and smells good. They also have Martruckbucks Garnis Apple Strudle, as the information it is one of seasonal menu during this Christmas celebration. 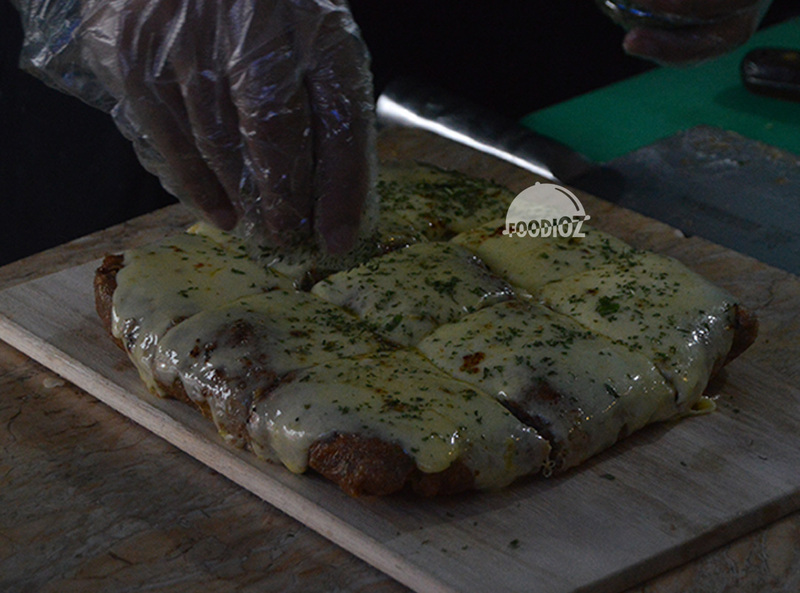 It is egg martabak as well, with custard, cinnamon and topped by apple slices. I must say it has great smell and such a balanced sweetness. Overall i think this place has recommended dish to enjoy. 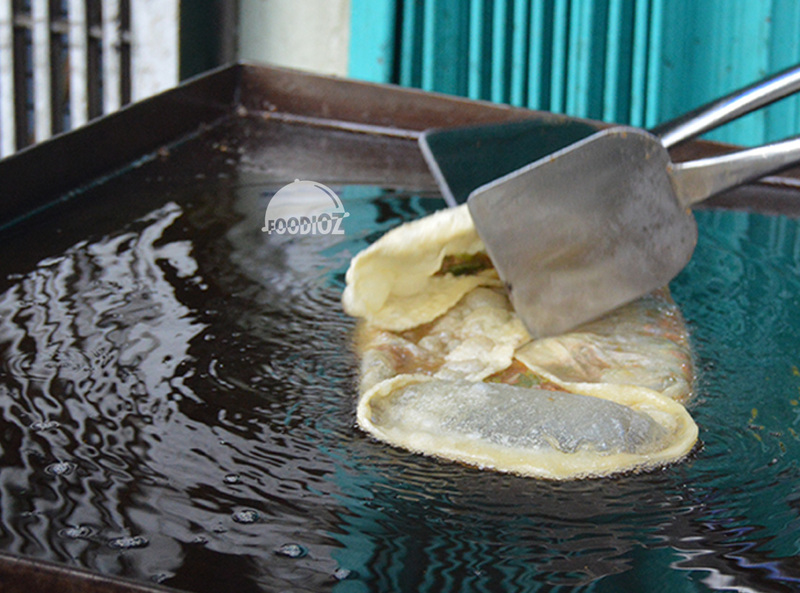 All Martabak has different flavor and sensation. 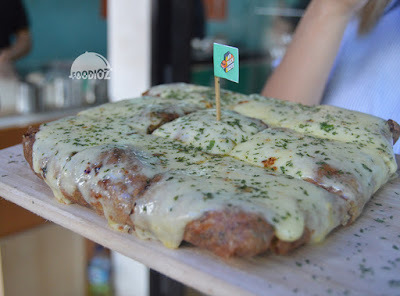 For you martabak lover should be feels good while visit here, they also available with delivery online which is much better for you customer to enjoy any martabak while relaxed sit at home. They also offering various martabak with standard price for nowadays, especially they make sure all the ingredients keep in fresh condition to create perfection of food.